If you ask people what the best superhero team is, you're likely to get a different answer from each one of them. The Fantastic Four revolutionized comics, the Avengers have racked up billions at the box office, the Justice League has the most famous members, the X-Men are among the most popular comic book characters ever created, and that's just scratching the surface with the most well-known teams. If, however, you were to ask which team is the weirdest, well, there's only one real answer to that one. It's the Doom Patrol, hands down. 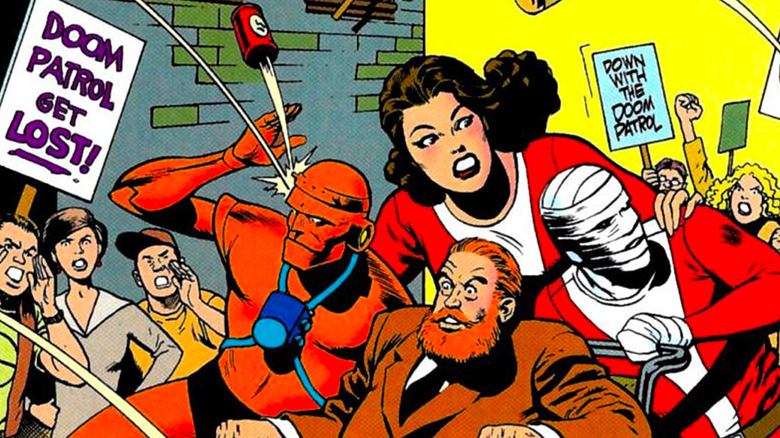 Since their debut in 1963, the Doom Patrol have always existed in the more bizarre fringes of the DC Universe, but the strange twists and turns of their history are fascinating, both on and off the page. 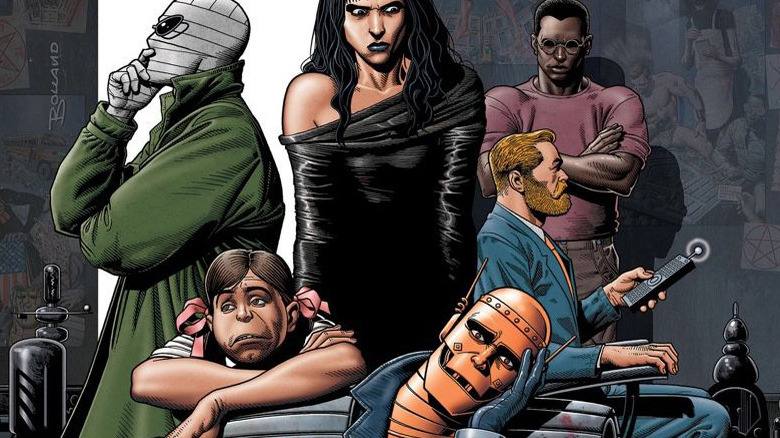 From a suspicious similarity to a far more successful franchise to providing DC with one of its most marketable teen heroes, here's the truth behind the Doom Patrol. After declining in popularity during the '50s, the dawn of the '60s found superhero comics experiencing something of a renaissance. 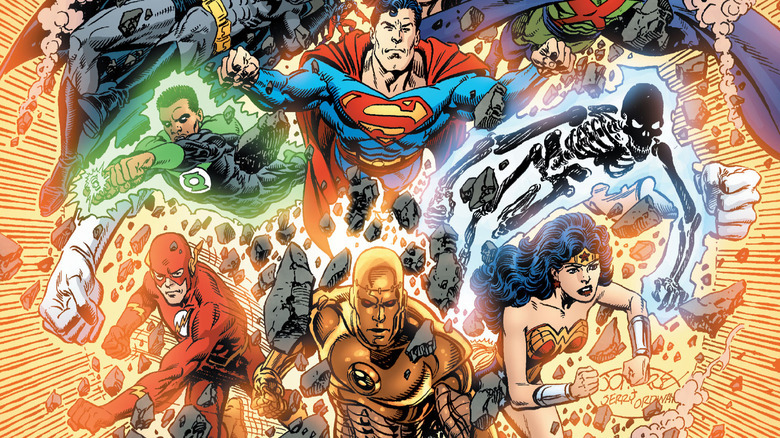 While characters like Superman, Wonder Woman, and Batman had always been popular, new takes on Golden Age heroes like the Flash and Green Lantern inspired DC to put them all together in the Justice League of America. The success of that team led in turn to an upstart company called Marvel Comics launching their own team book called the Fantastic Four, with all-new characters, and quickly following them up with an entire universe of brand-new heroes. The big difference was that Marvel's heroes, largely created by Stan Lee, Jack Kirby, and Steve Ditko, weren't quite the upright paragons that their competition was featuring in the Justice League. Instead, they were outcasts like Spider-Man and the Hulk, and even the Fantastic Four had the monstrous Thing and smart-mouthed Human Torch constantly bickering between alien invasions. More importantly, though, this new take on heroics was successful enough that DC took notice. In 1963, two years after the launch of Fantastic Four began to revolutionize superhero comics, writer Arnold Drake and artist Bruno Premiani created their own team of Marvel-style outcasts: Robotman, a race car driver whose body was mangled so badly in an accident that his brain had to be put into a robot body; Negative Man, whose irradiated body could project a semi-tangible "negative spirit" for 60 seconds at a time; and Elasti-Girl, an actress who was shunned by Hollywood after she gained the ability to grow gigantic or shrink to the size of a doll. The three of them were gathered together by the Chief, a mastermind in a wheelchair to defend a world that hated and feared… hey, does this sound familiar to anyone else? The Doom Patrol debuted in My Greatest Adventure, a comic cover dated for June of 1963. 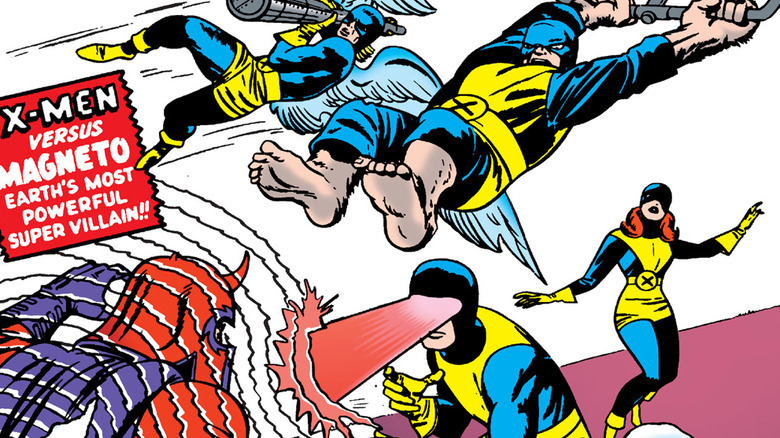 Three months later, in September, Stan Lee and Jack Kirby launched their latest creation for Marvel: the X-Men, a team of outcasts who were gathered together by a mastermind in a wheelchair to defend a world that hated and feared them. Let the conspiracy theories begin. This wouldn't be the last time that there were some suspicious similarities between the two publishers. Almost a decade later, Marvel would launch a horror-themed swamp monster called Man-Thing in 1971. DC responded with Swamp Thing in 1974, with an origin story that would've been suspiciously similar even if the story's writer hadn't been both the writer of the second Man-Thing story and the roommate of Man-Thing's creator. The community of comic book creators in the '60s and '70s was small enough that these connections aren't exactly uncommon, to the point where a creator going from Marvel to DC (or vice versa) was often referred to as "crossing the street." The only question is whether the similarities between the Doom Patrol and the X-Men are the result of someone overhearing someone else's discussion over lunch and consciously deciding to rush a competing book into publication, an accidental influence, or just a strange coincidence. We might never get a definitive answer, but Arnold Drake told an interviewer in 2005 that "Over the years I've became more and more convinced that he knowingly stole The X-Men from The Doom Patrol. [...] It would've been easy for someone to walk over and hear that this guy Drake is working on a story about a bunch of reluctant superheroes who are led by a man in a wheelchair." 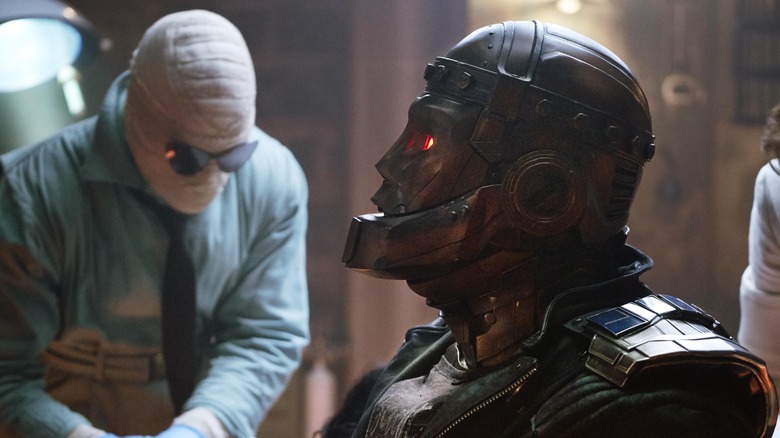 While they might've had some similarities to the X-Men in the beginning, it didn't take long for the Doom Patrol to carve out a niche of their own in the world of superheroes. By the time My Greatest Adventure changed its title to Doom Patrol with #86, they were the heroes who dealt with the weirdest problems in superhero comics — and by Silver Age standards, that's saying something. Their villains were decidedly offbeat, including a monstrous foe called the Animal-Vegetable-Mineral Man, who had the power to turn his body parts into any… well, you can probably figure that one out for yourself. He wasn't the only weirdo to fight the Doom Patrol, though. Their arch-nemeses were the Brotherhood of Evil — not to be confused with the X-Men's Brotherhood of Evil Mutants — a strange team of made up of the Brain (a literal brain in a jar mounted on a metal pedestal with a scary face bolted onto it), Monsieur Mallah (a beret-and-bandolier wearing French gorilla with a machine gun), and Madame Rouge, a shapeshifter who was downright normal compared to the others. It wasn't just the villains that were odd, though. The stories frequently involved Robotman's body being destroyed in ways that would've been shockingly violent if he hadn't been a robot, including being blown up multiple times, and once having his legs crushed and twisted into a drill used by a giant-sized Elasti-Girl. 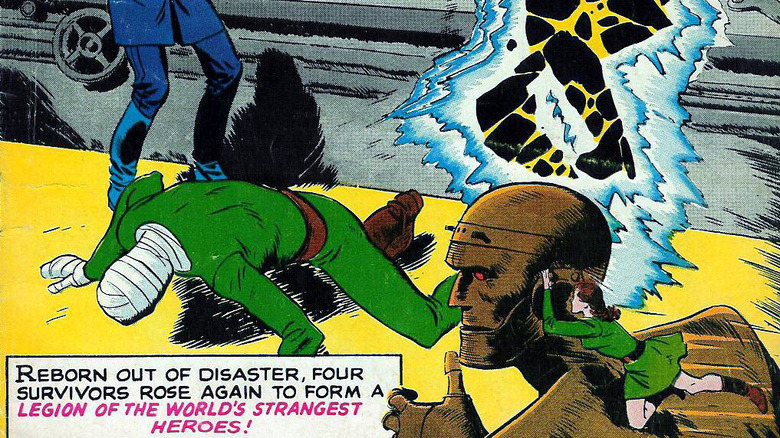 At the same time, that strangeness gave the Doom Patrol a flavor that was unique in an explosion of superhero comics that holds up today, especially with Premiani's lush and detailed art. 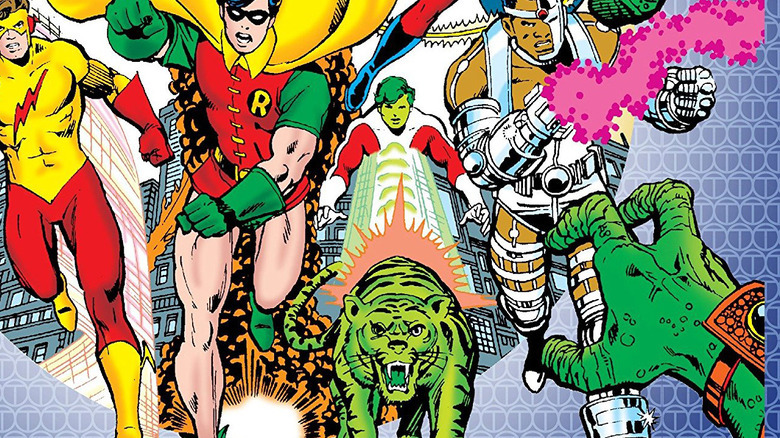 Another product of the wave of Silver Age hero teams was Teen Titans, a book focused on the adventures of sidekicks that included Robin, Aqualad, Kid Flash, and Wonder Girl. In the '80s, Marv Wolfman and George Perez would revive the team as the New Teen Titans and make it one of DC's most popular and enduring franchises. One of the biggest hooks for their run was that they created a bunch of, well, new Teen Titans, expanding the roster to include fresh characters like Raven, Starfire, and Cyborg. There was, however, one new Titan who had been brought in from another DC title, although he was certainly obscure enough that he was easy to mistake for a brand-new creation: Beast Boy. Unlike the other characters, who were either pre-existing Titans or brand-new characters, Beast Boy was pulled in from the pages of Doom Patrol, where he'd been created in 1965. In that title, he was the son of two adventurers who turned him into a green monkey because he caught a disease that was lethal to every creature except green monkeys. No, really. He went on to be adopted by Elasti-Girl and her husband, a D-list telepathic hero named Mento, but found much greater fame when he was recruited for the Titans. As a member of that team, he played a crucial role in the classic "Judas Contract" storyline, became the star of multiple TV shows, and even showed up in a full-length theatrical movie. All together, he's likely one of the most recognizable teenage heroes of the 21st century — and the most famous character to have ever been part of the Doom Patrol. By the 1980s, the Doom Patrol had mostly fallen into obscurity, but when DC relaunched their universe in 1987 after Crisis on Infinite Earths, the team was given another shot. This time, while a few characters returned from the original incarnation, the team had a more straightforward, superheroic approach… for the first 18 issues. Then came Doom Patrol #19, the start of a new direction from artist Richard Case and an up-and-coming Scottish writer named Grant Morrison. 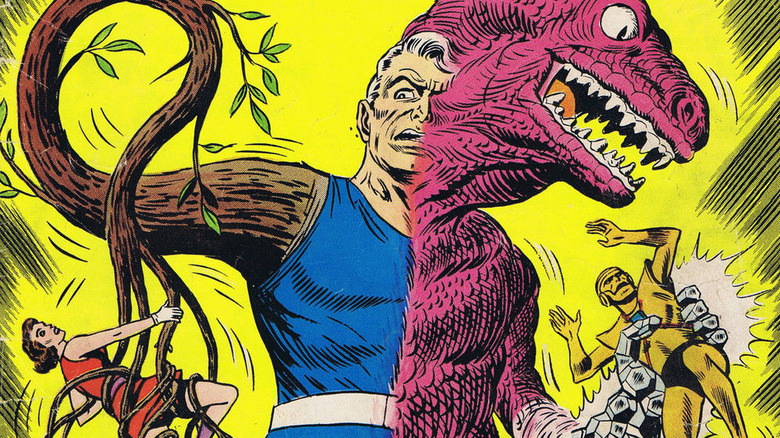 Morrison, who was also reviving another obscure Silver Age hero in the pages of Animal Man, didn't just embrace the strangeness of Drake and Premiani's original misfit heroes. He and Case took it way further, delving into bizarre psychological adventures. Their team fought imaginary "Scissormen" who cut people out of reality and reimagined the Brotherhood of Evil as a surrealist supervillain team called the Brotherhood of Dada, which featured a character called the Quiz, who had "every super-power you haven't thought of yet." 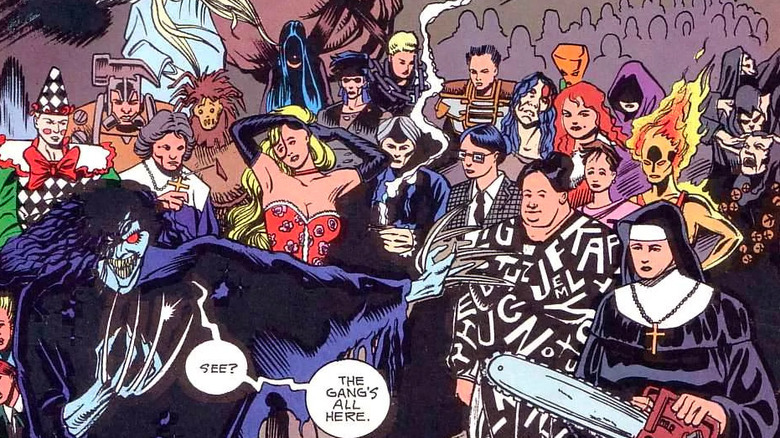 The biggest changes, however, came with the Doom Patrol itself. The most notable reveal, from a plot standpoint, came when Robotman discovered that Chief had arranged all of the "accidents" in the original Doom Patrol's origin stories in an attempt to make them better people through suffering, which included completely destroying his human body. The shake-ups didn't stop there, though. In addition to a handful of new characters, Morrison and Case merged the original Negative Man, Larry Trainor, with a a cosmically powerful Negative Spirit and a female doctor named Eleanor Poole, resulting in Rebis, DC's first genderfluid superhero. One of the most prominent new additions to Morrison and Case's Doom Patrol was a woman who operated under the superheroic identity of Crazy Jane. After being horribly abused as a child, Kay Challis developed dissociative identity disorder, and — just in case you forgot this was the DC Universe — each one of her 64 personalities developed its own superpower when aliens detonated a "Gene Bomb" during an invasion. All told, over 40 of Jane's personalities got full appearances in the comics over the years, with a handful of others who never got names. Most of them were named after the titles of, or lines from, songs, and as you might expect, some of them were incredibly strange. The Hangman's Beautiful Daughter could bring her paintings to life, for instance, and Sun Daddy had the ability to shoot fireballs from her head, which was the sun. In Jane's head, the different personalities were represented as stations on a complicated railway line called the Underground, which was navigated by another personality, Driver 8, named for the REM song. As much as all of this might seem like reveling in weirdness for its own sake, Jane was the focal point of stories that delved into the lasting effects of trauma and abuse, and the ways that people deal with mental illness. A story that involved Robotman being taken into the Underground — which included an encounter with memories of Kay's father, represented as a hulking, horrifying monster — gave the book some of its most compelling and memorable stories. 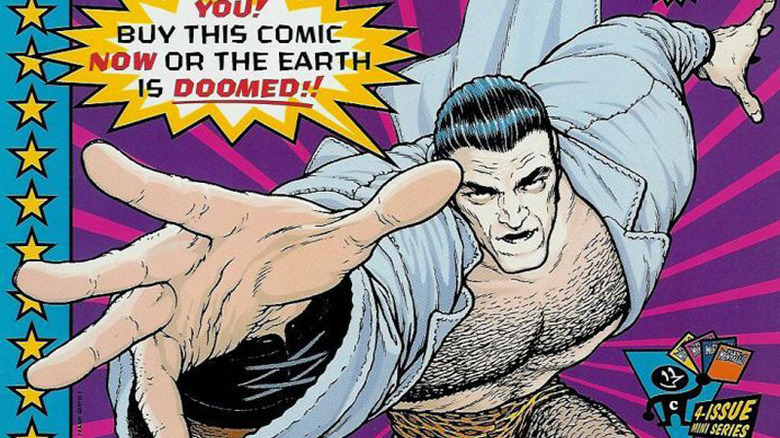 Another notable addition to the Morrison era, along with characters like the Beard Hunter (a pretty hilarious parody of the Punisher who hunted men with beards), was a strongman named Flex Mentallo: the Man of Muscle Mystery! While Flex's adventures were strange even by the standards of the Doom Patrol — he was introduced in a story that also included a sentient road named Danny the Street and he once saved the world by flexing his muscles so hard that the Pentagon became a circle — his origin was the most interesting part of his story for a few different reasons. To explain his strength (and his ability to create floating visible words that dubbed him the "HERO OF THE BEACH"), he was cast as a weakling who gambled a stamp on an exercise book in a parody of the old Charles Atlas ads for "Dynamic Tension" bodybuilding techniques. After Flex starred in his own four-issue miniseries, the Charles Atlas company filed a lawsuit claiming that he was infringing on their founder's likeness rights. Eventually, the lawsuit was dismissed when the court ruled that Flex's creation fell under fair use, but the 1996 minsieries wasn't reprinted (and Flex himself was rarely seen) until 2012. Morrison and Case's Doom Patrol set a new standard for surreal superheroics, but after it came to an end, the team couldn't seem to find its footing again. Throughout the 2000s, there were several attempts made to reboot the Doom Patrol and bring them a little closer in line with the mainstream DC Universe. Among several others, John Arcudi (who was well acquainted with bizarre superheroes himself as the co-creator of the Mask) and Tan Eng Huat relaunched the team in 2001. In this title, Robotman was paired up with a younger generation of strange heroes, including a pessimistic young man who was nicknamed "Mr. Negative" despite having the official codename of "Fast Forward" due to his ability to see 30 seconds into the future. The book also involved a second, simultaneous Doom Patrol team made up of existing DC characters (including Beast Boy), but lasted less than two years before ending. Eventually, the reset button was hit again in a truly weird way. In 2004, Chris Claremont and John Byrne, the legendary team that had produced classic epics like "The Dark Phoenix Saga" and "Days of Future Past," teamed up for the first time in over 20 years for a Justice League story called "The Tenth Circle." While it was mainly about the JLA fighting a vampire named Crucifer, it also served to launch Byrne's complete reboot of the Doom Patrol, with an ongoing series following. Unfortunately for the Byrne, the Doom Patrol, and the readers, neither the JLA story nor the new DP series were well received. 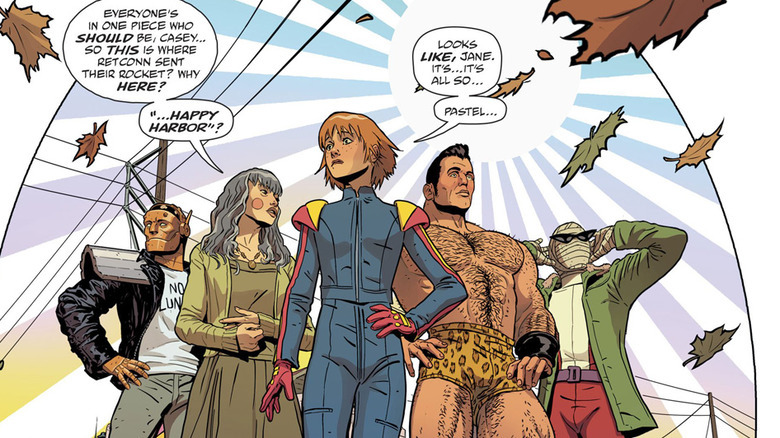 Finally, in 2016, the Doom Patrol returned to bona fide hit status as the flagship characters of Young Animal, a new imprint launched under the editorial direction of Gerard Way. Yes, that Gerard Way. The lead singer of My Chemical Romance. A longtime comics fan, Way had kicked off a career as a comics writer in The Umbrella Academy, a series for Dark Horse with artist Gabriel Bá that focused on an adopted family of super-powered young adults who were all born the instant a pro wrestler hit a flying elbow drop on a squid-like alien invader during a wrestling match. As you can already tell, Way was pretty heavily influenced by Grant Morrison, and when DC tapped him to oversee a new line of offbeat titles, Doom Patrol seemed like a pretty good fit. While it includes existing characters like Robotman, Crazy Jane, and the Chief, the primary focus of Way and Nick Derrington's title was Casey Brinke, a character who was created in a comic book within the comic by the aforementioned Danny the Street before coming to life as a regular fictional character rather than a double-fictional one. If that sounds complicated, well, that's because it is, but it turns out that's the kind of story in which the Doom Patrol really works well. In 2017, DC announced the creation of a streaming service called DC Universe that would host original programming in addition to being an online home for some of their older properties as well. Their first original show was Titans, and while that turned out to mostly be a show about Robin from Batman saying bad words, it also serves as the launching point for a live-action Doom Patrol show. The team debuts in the show's fourth episode, titled, appropriately enough, "Doom Patrol," with April Bowlby as Elasti-Woman, Brendan Fraser and Riley Shanahan as Robotman's voice and body, respectively, Matt Bomer and Matthew Zuk similarly portraying Negative Man, and Diane Guerrero playing Crazy Jane. Also, former James Bond Timothy Dalton will be playing the Chief in a truly amazing bit of casting that rules. The show is set to kick off in early 2019, and if the history of the Doom Patrol has shown us anything, it's that it's probably going to be weird.